Tourists and locals will have more chances to reel in a lucrative barramundi after the Northern Territory Government announced the Million Dollar Fish competition will be back for a second season. The inaugural season saw 10 prize tagged barramundi worth $10,000 caught across the Northern Territory over five months. More than 43,000 people registered for the competition from 62 different countries including 25,800 people from interstate and 14,600 Northern Territory locals. The competition generated more than 200 media articles and the Million Dollar Fish website received over 26,000 visits a month. The competition generated spin-off benefits for local businesses with marine dealers reporting a boom in out-board motor servicing, servos selling more fuel and tackle shops reporting increases in business. Registrations for season two of Million Dollar Fish will open soon. 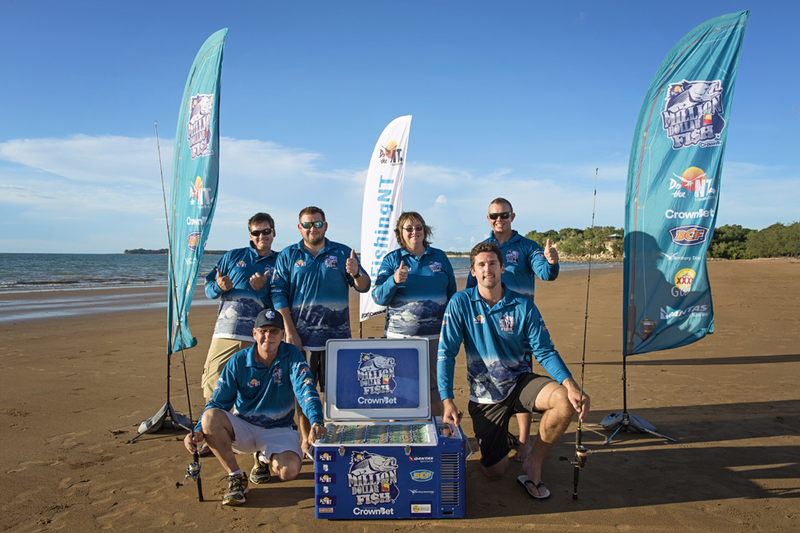 Some of the Million Dollar Fish Season one winners at Mindil Beach, Darwin.